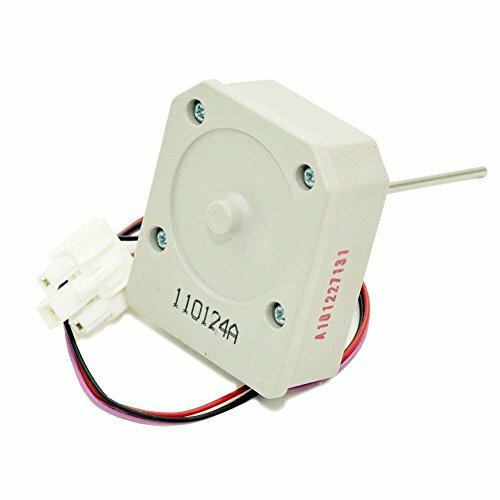 LG 4681JB1029A Refrigerator Evaporator Fan Motor. For use with the following LG Electronics models: LSC26905SB, LSC26905SW, LSC26905TT, LSC27931SW, GML277BSRA, LSC27921SB, LSC27926SB, LSC27931SB, GML277USQH, GML277USRH, LSC27921ST, LSC27926ST, LSC27931ST, GML277USRL, LSC27921SW, LSC27926SW, LSC27921TT, LSC27926TT, GML277USRY, LSC27991TT, GML267BVRA, GML277BTRA, GRD277STSA, LRSC26923SW, GML267BQRY, LRSC26923TT, GML277UTQH, GRL277SVVA, GML277UTRY, GRG277STSA, GML277MQHP, GML277MVHP, LSC27918ST, GML262BTRA, GML277BQRA, LRSC26925SW, GML267BNRY, GRL277SSSA, LSC27914SB, LRSC26925TT, GML277UQQH, GML277UVQH, GML277UQRH, LSC27914ST, GML277UVRH, LSC27914SW, GRL277SSVA, GML277UQRY, GML277UVRY, GML267BTRA. Refer to your manual to ensure ordering the correct, compatible part.